On Saturday, April 2, volunteers will be pulling on their wellies to clean up litter from the banks of the River Witham in Lincoln. 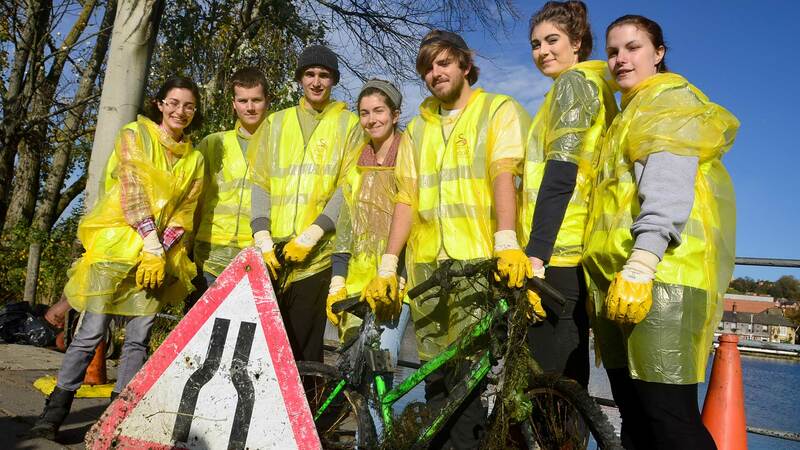 The event has been organised by the Lincoln RiverCare group – a collaboration with Keep Britain Tidy and Anglian Water. The group are looking for more volunteers and local residents to join them at the event. Students from the University of Lincoln and Anglian Water staff will also be taking part. Kevin McCarthy, Lincoln RiverCare group leader and Anglian Water employee said: “We held our last event back in October and it was great to see 38 volunteers turn up on the day and lend a hand. “Altogether, we collected 75 bags of litter. Some of the more unusual items found included a high chair, a breadbin, folding chair, a tent, 2 bicycle frames, 2 traffic cones, a large promotional banner, and a wheelbarrow! The clean-up starts outside the Tower Bar in Lincoln at 10:30am on Saturday, April 2. Anyone who is interested in coming along can contact Fiona McKenna, RiverCare project officer, at [email protected] or just turn up on the day.